It has been two years since I became the IT Director for the Le Grand Union High School District. This is part one of that journey. I came in to the position in the middle of the school year and thanks to +Andrew Schwab, who did a great job in getting the district's technology to a point that supported a 1:1 implementation, I did not have to worry too much about the infrastructure. Although the position is an IT Director position, it became clear from the start that I would be able to continue the EdTech charge that he and +Danny Silva started. Andrew did a lot of things right, and for those of you that are looking to go 1:1, he has a lot of insight into how to set up the infrastructure to support any 1:1 implementation (follow him on Twitter @anotherschwab). The following are my insights after I took over. First and foremost, get you bandwidth to the Internet to where it will support the number of devices that will need Internet access. Second, make sure that your WiFi is in place and is rock solid. Don't just plan for what is the current WiFi standard, but look to the future and plan accordingly. With Erate the way it is currently, that can be a little difficult, so you need to impress the Cabinet and the Board that continued support for new APs is just as critical as getting devices into the student's and teacher's hands. Test you WiFi at over the recommended settings, because sometimes you need to supplement the density an AP can provide if one of them goes down. Third, make sure that you filtering system is as scalable as the amount of devices you plan to deploy. There is nothing more frustrating than realizing that you are at capacity for the devices you plan to support. Lastly, hope for the best, but plan for the worst. In the past two years we went from having about 300 devices on our network, to having over 700 devices on our network, and this was with the same 23 APs that were there when I took over. Thanks to the efficiency of Erate, I am still waiting for 2011 funds to become available so that I can extend the WiFi functionality and availability. Our network is solid because of the Ruckus solution that was implemented on our campuses. As with a lot of smaller rural school districts, I am part of the Lone Ranger IT group. I can say without hesitation that it would not be possible without Ruckus. Another thing that I am grateful for is the fact that the district is mostly an Apple campus. As a result my service tickets for Apple repairs are minimal. It is quite manageable to support all of the Apple devices with only two part time assistants (~12 hours/week each). To compare this, at my last district, I had three FTE network technicians to support over 1000 windows systems and 44 servers across 13 sites. I will also add that the support that the board and the superintendent has provided me and to the district has been phenomenal, and with that support, my job would be nearly impossible. My biggest technical problems are two-fold: iPads are a pain to manage and deploy, and even with the recent release of support tools that Apple has issued, the management and deployment will still be difficult. The collection and deployment/re-deployment takes a large chunk out of the summer and anytime that Apple pushes out a IOS update. The second part is breakage and loss, although this is less problematic than the first year. In the first year, it cost almost $24K to repair cracked and broken iPads. This was due to the type of case that had been purchased. We now have fully enclosed cases for the student iPads, and we aggressively market insurance to the students and their parents. The result is that our annual repairs hover around $6000 a year. Some of the positives of our 1:1 implementation. The iPad have performed very well. At the end of this year, over half of our iPads will be three years old, and out of nearly 550 student iPads, only 10 device failures can be attributed to internal failures (I.E. the failure could not be attributed to dropped or student caused damages). 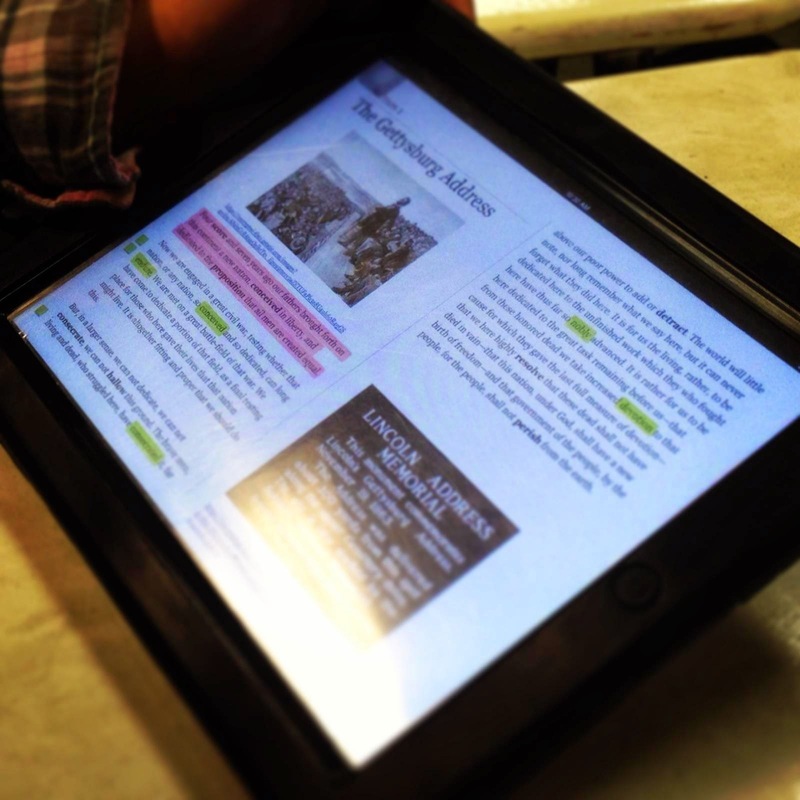 While the students needed some training on how to use the iPads in the classroom, that training is minimal. The fact that we are a Google Apps for Education (GAFE) school has been a big positive for the administration, the teachers, and the students. Kudos to Andrew and Danny for putting that into place well before 1:1 became a reality. GAFE is now second nature to all and the iPads work really well with it. The last big technology that has had a positive impact in the classroom, was the installation of Extron PoleVault Systems and Apple TVs into the majority of our classrooms. This is being used by every teacher that have them, and teachers are now more open to using that technology with the students and their iPads. Looking back on the two years, the problems that I have with iPads are small compared to the positives that have and are occurring in our school district. As I have mentioned above, my role has not just been the IT Director, but that of an EdTech/Technology Coordinator. In my followup postings I will provide insights into what that looked like over the past two years, and the direction that we are heading into. Lopez, Alison. (2013). iBook on iPad.